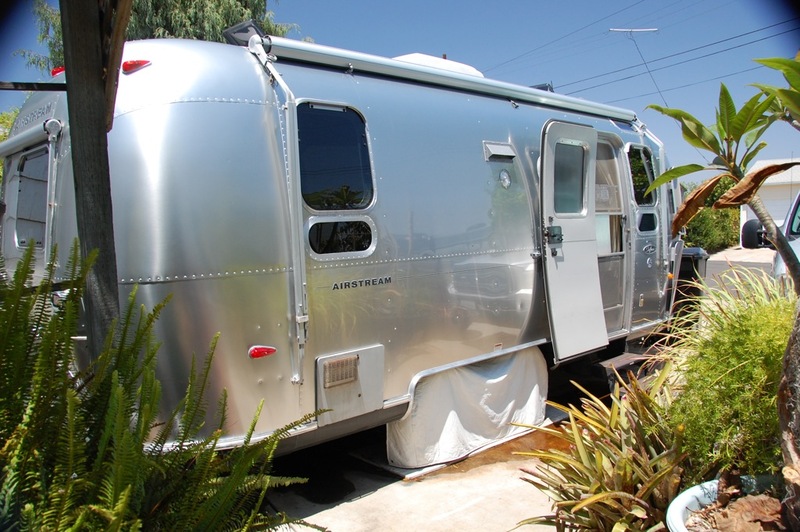 Our Airstream Safari trailer is happy as a clam after getting the salt deposits washed off upon returning to home base after basking on the bluffs of South Carlsbad State Beach for 5 days. The big, annual wash and wax job will take place next month before we begin our fall camping schedule. We have been happily enjoying viewing free, over-the-air high definition TV over the summer and celebrating our independence from pay TV with the help of our Mohu Leaf 50 indoor antenna, saving us $75/month. 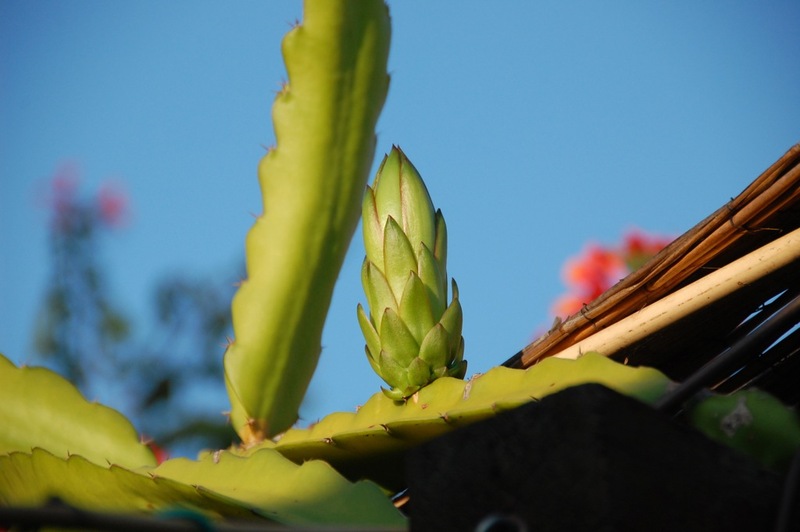 Last week, we were happy to discover the first flower bud on one of our pitahaya cactus plants, Hylocereus undatus, that we planted three years ago. 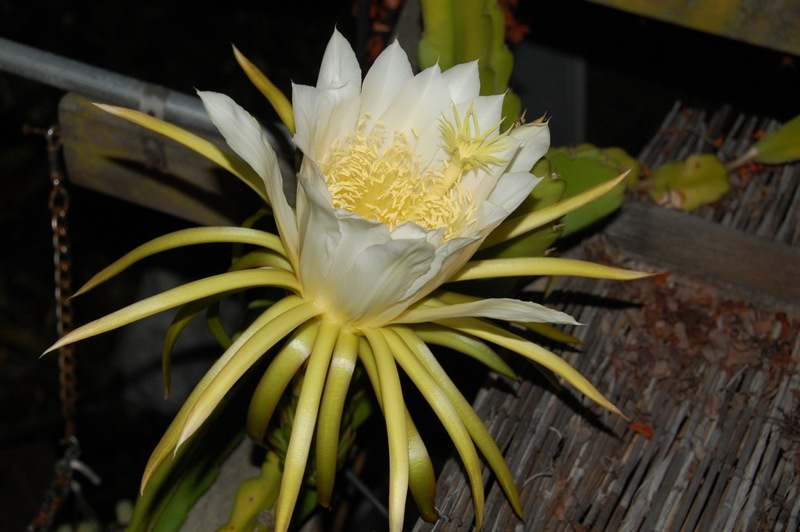 This is also known as Dragon Fruit and we are happy that it grows well in San Diego. We obtained our plants and sample fruit of the Pitahaya Roja* (seen below) from Ong Nursery. 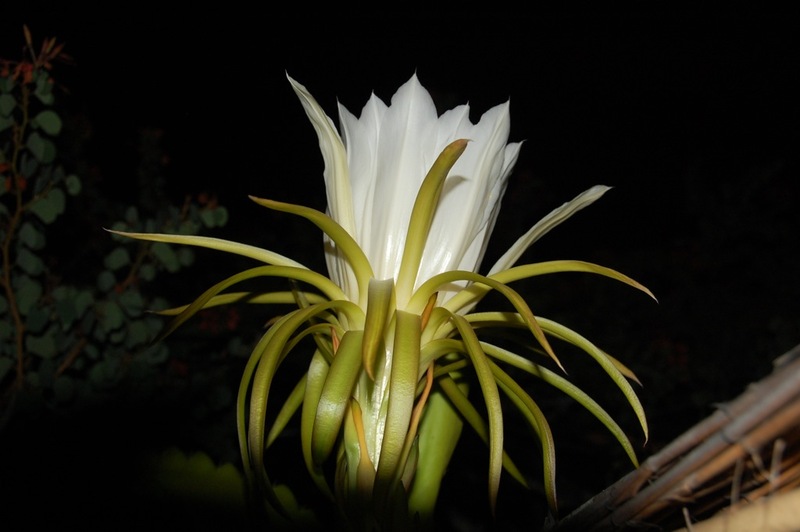 Last night our pitahaya bloomed under a full moon. 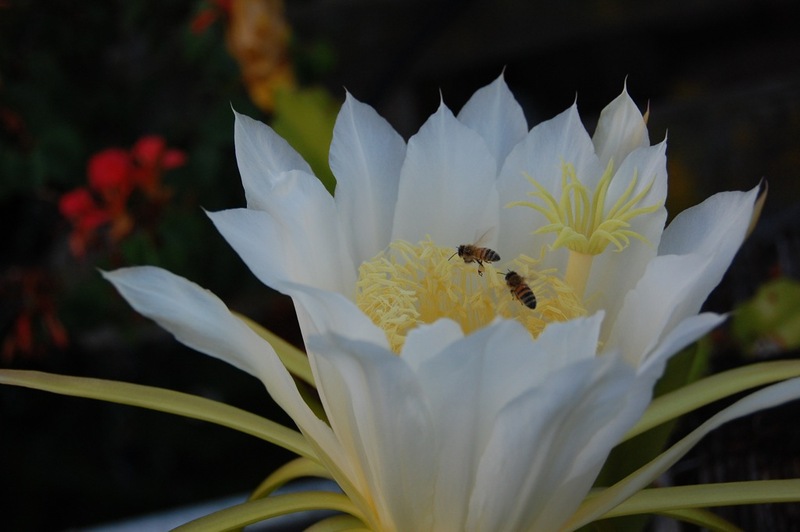 Pitahaya flowers in Southern California bloom for one night only. I climbed a stepladder under the full moon and applied a small brush to cross-pollinate two flowers. The deed was completed by happy bees in the early morning. We now await the fruits of our labors. 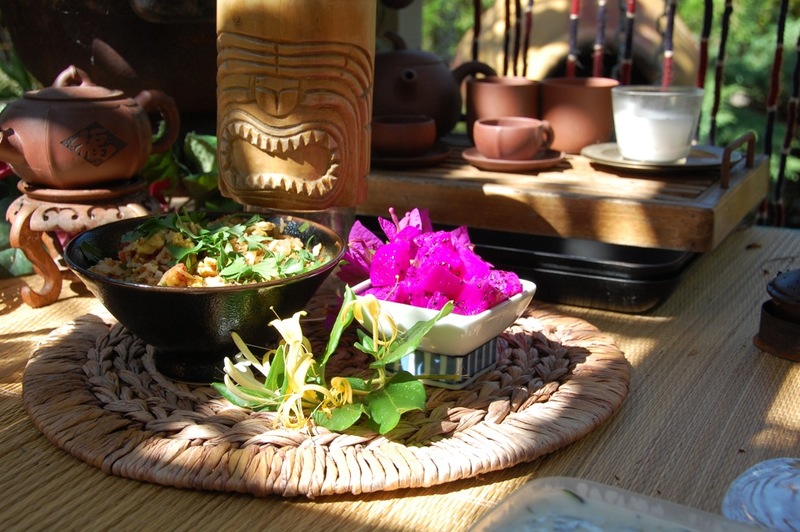 Eating Dragon Fruit* is a happy, refreshing and healthy experience. 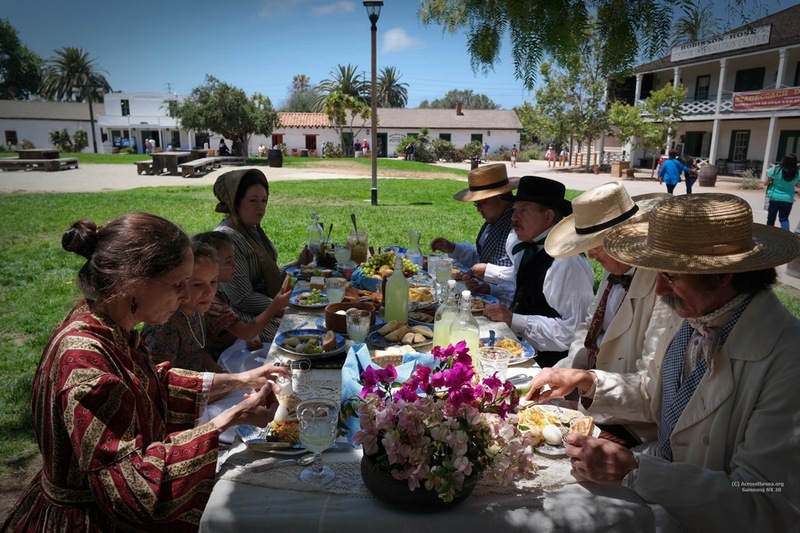 Another happy experience occurred early this summer when we gathered with friends for a Victorian picnic in Old Town San Diego State Historic Park. 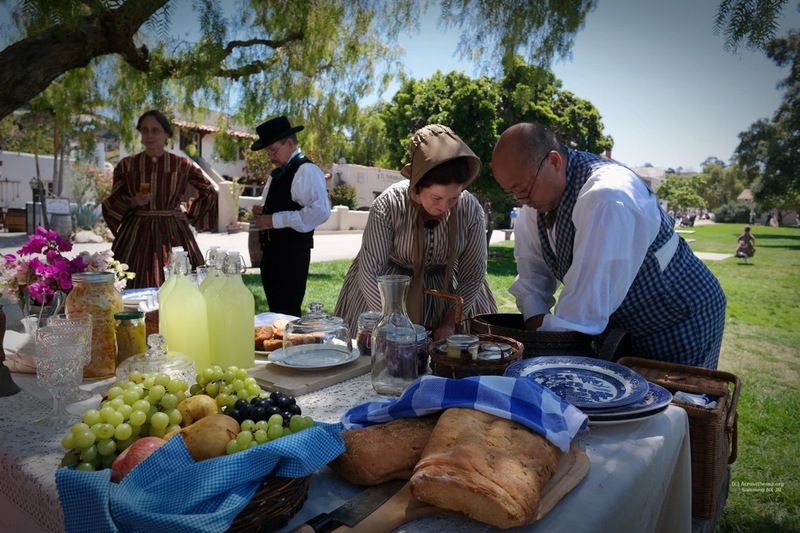 Seen on the table is ham and cheese stromboli (made by Larry), along with German coleslaw, fresh fruit, lemonade, lemon curd, pickles, empanadas, hard boiled eggs, and sliced cheese. * This is a link to a YouTube video.